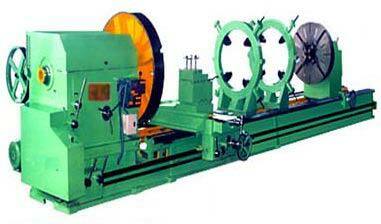 Get in touch with us for acquiring top-notch Heavy Duty Roll Turning Lathe Machines at moderate prices. Designed with perfection, our Machines are superb on the counts of performance, quality and durability. We manufacture & supply lathe machines from 6' to 12' in medium duty and from 12' to 40' in heavy as well as extra heavy duty machine. We also manufacture machines as per customer specification from 12" centre height to 60" centre height.